Johannesburg - An independent inquiry into employees of KPMG implicated in the #GuptaLeaks, has been commissioned by the South African Institute of Chartered Accountants (Saica). According to a statement issued by the accountancy body on Friday, the investigation comes after it received claims that some of its members employed by KPMG allegedly contravened the Saica code of professional conduct. The investigation is only in relation to Saica’s members. The Saica inquiry will be conducted by an independent panel of legal and accountancy professionals, led by Advocate Dumisa Ntsebeza. Ntsebeza SC, was one of the 17 commissioners who served on the South African Truth and Reconciliation Commission between 1995 and 1998. He has also served as acting judge in various divisions of the High Court and has sat as an acting judge in the Labour Court, among other things. “SAICA believes Advocate Ntsebeza SC will lead the probe without fear, favour or prejudice,” the body said. The inquiry is expected to be completed within five months. There are four phases to the inquiry. The first involves a call for written submissions between November 2 to November 30. This will be followed by a review of the submissions by members between December 1 and December 15. This will reconvene between January 2 and January 19 next year. The hearing of testimonies will take place between January 22 and February 28 and the inquiry will review the testimony and recommendations between March 1 and April 30. The investigation will only probe the conduct of Saica members, and will not assume the statutory functions of the Independent Regulatory Board of Auditors (IRBA), Saica emphasised. IRBA is conducting its own investigation into the KPMG auditor who was responsible for signing off on a forensic investigation into the into the so-called rogue unit at the South African Revenue Service (SARS). KPMG said in a statement that the partner responsible for the report is no longer with the firm and that the part of the report which refers to “conclusions, recommendations and legal opinions” cannot be relied upon. A number of KPMG SA’s clients, including Foschini, Munich Re and Telkom have left, after reports revealed that its audit work for Gupta firms was not above board. Several of KPMG’s executives including its CEO Trevor Hoole resigned in an effort for the firm to move forward. 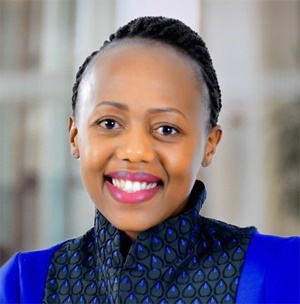 Newly appointed CEO Nhlamu Dlomu told Fin24 that there had been an accumulation of "red flags" regarding the Gupta's accounts, along with media reports that eventually led the firm to cut ties with the Gupta-owned companies in 2016 over reputational risk.